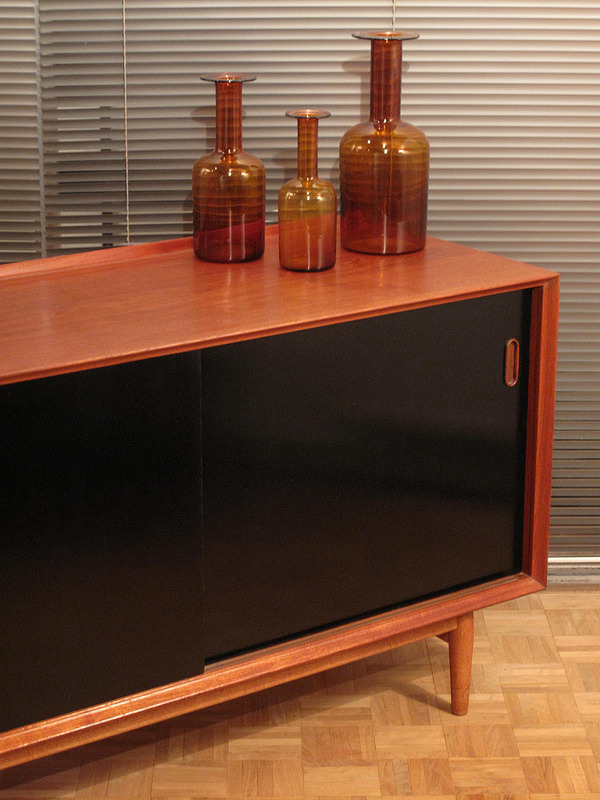 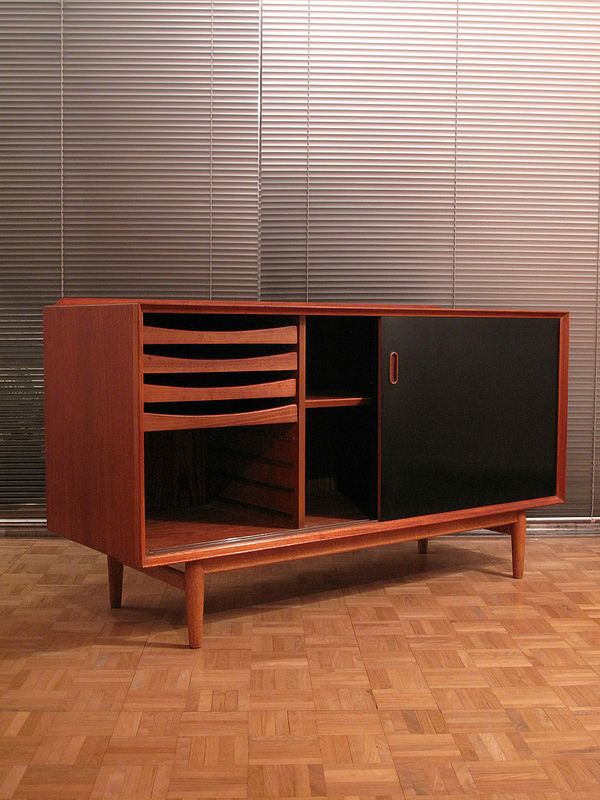 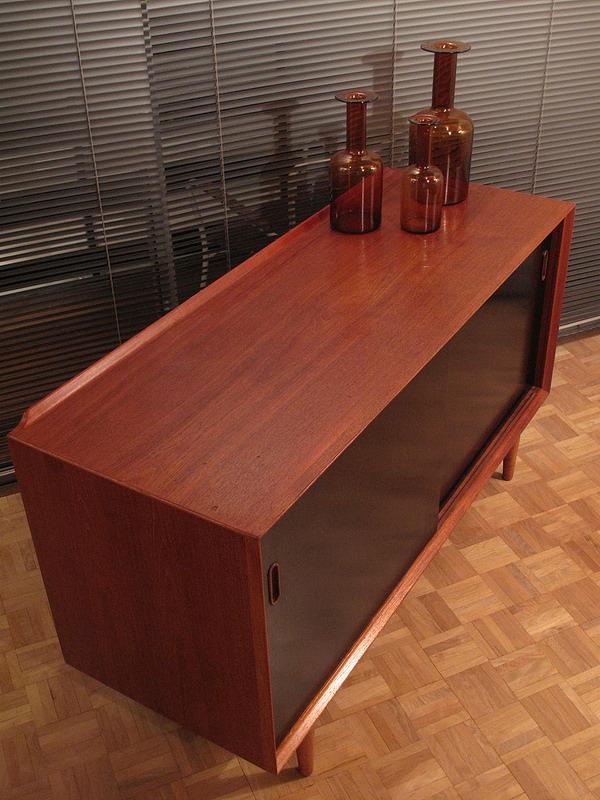 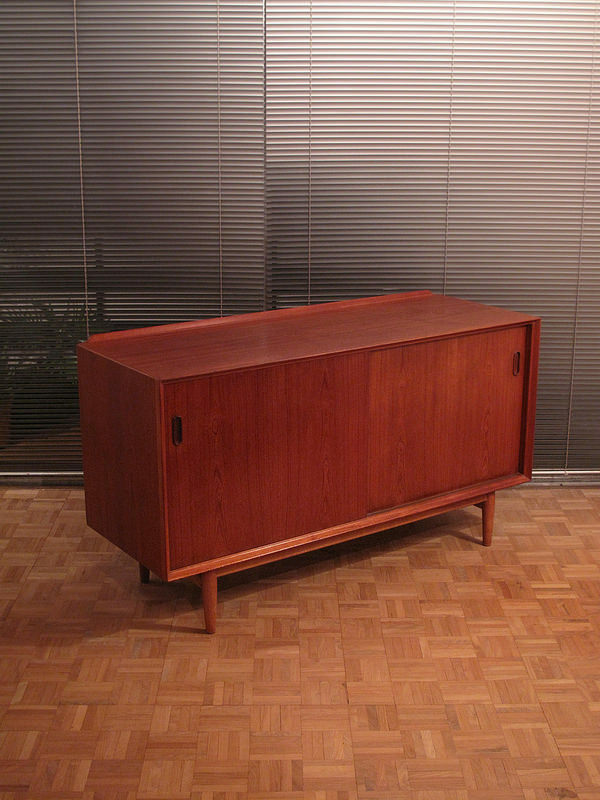 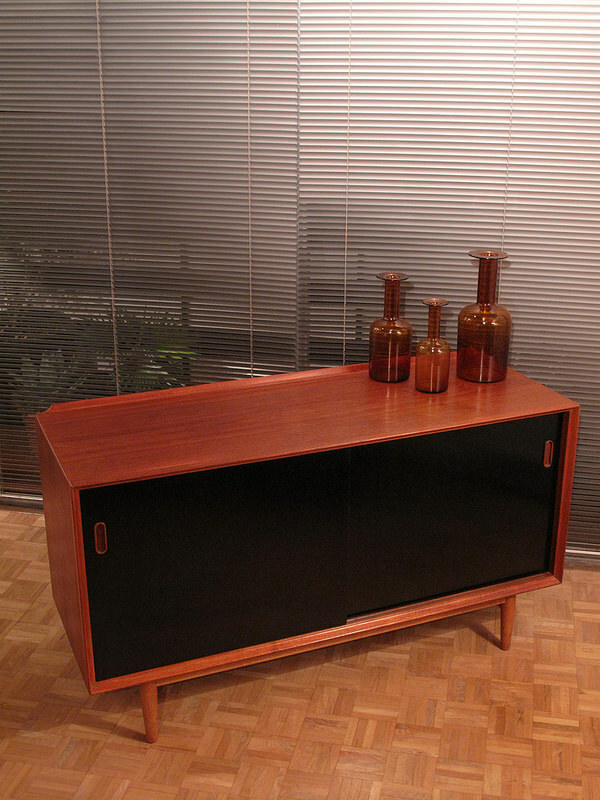 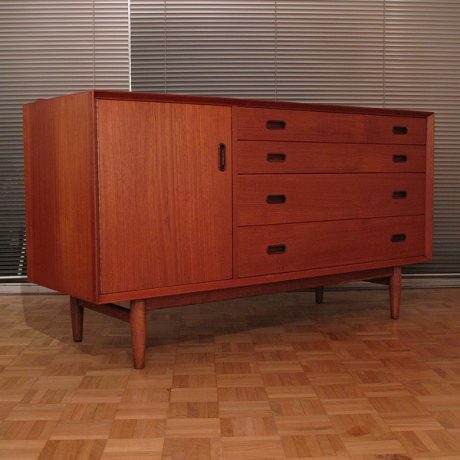 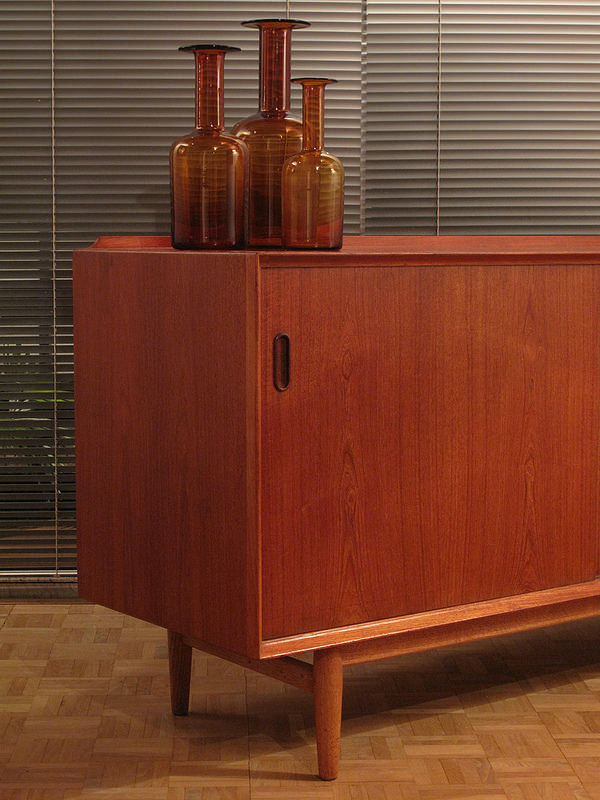 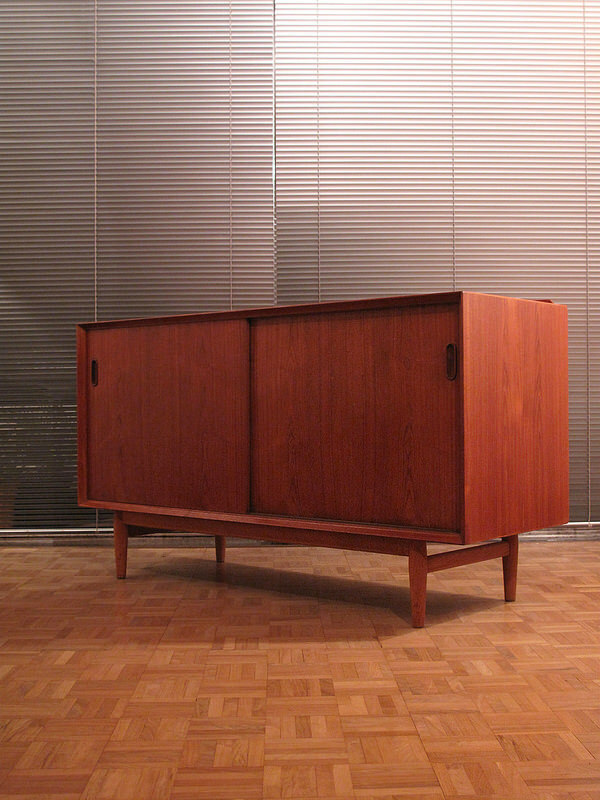 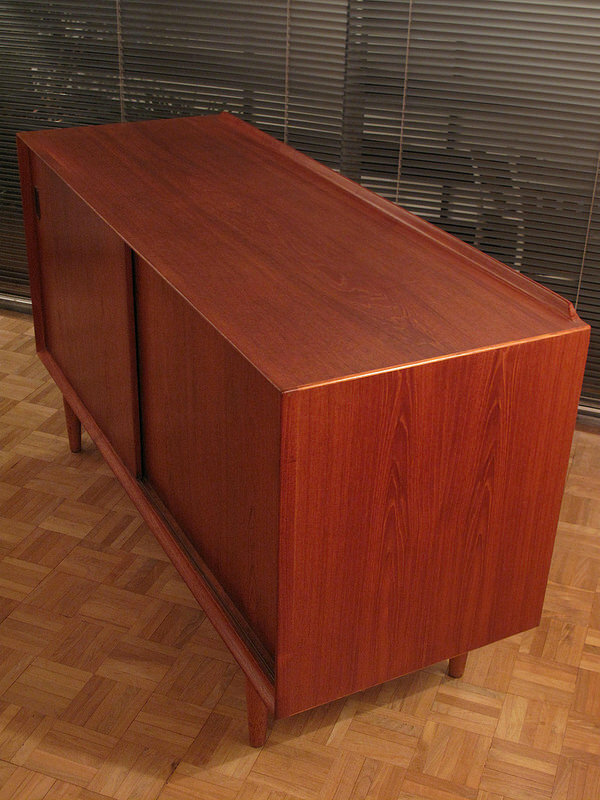 Very very seldom seen model OS11 sideboard designed by Arne Vodder for P Olsen Sibast, Denmark. 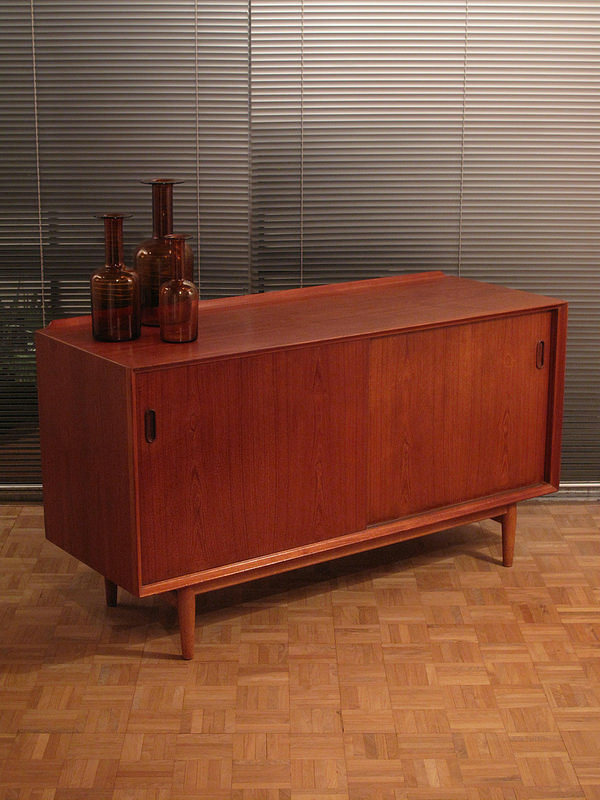 Over recent years Vodders designs have become the most coveted Danish Modern sideboards. 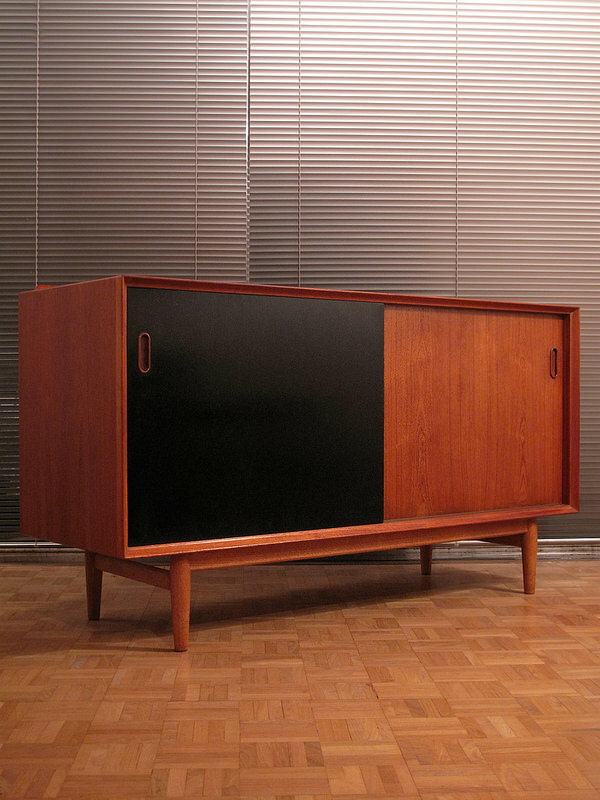 This particular model is very hard to find. 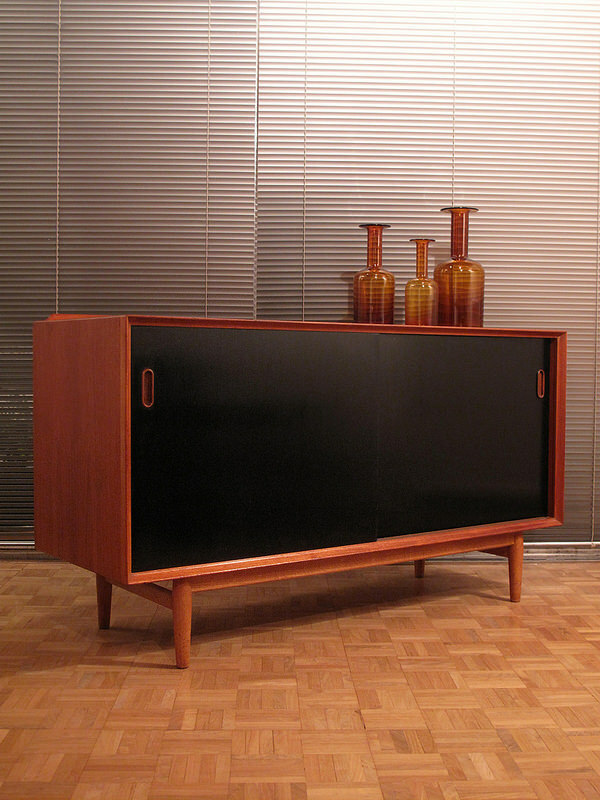 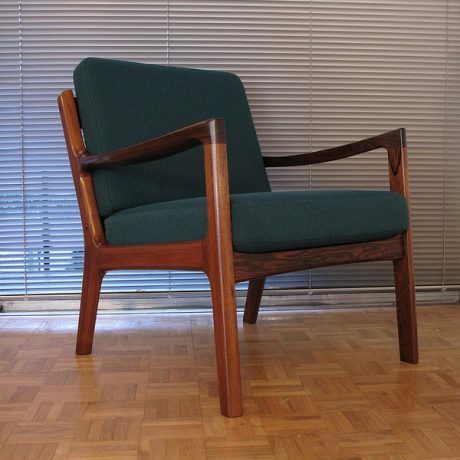 It features reversible sliding doors, black on one side and natural teak on the other. 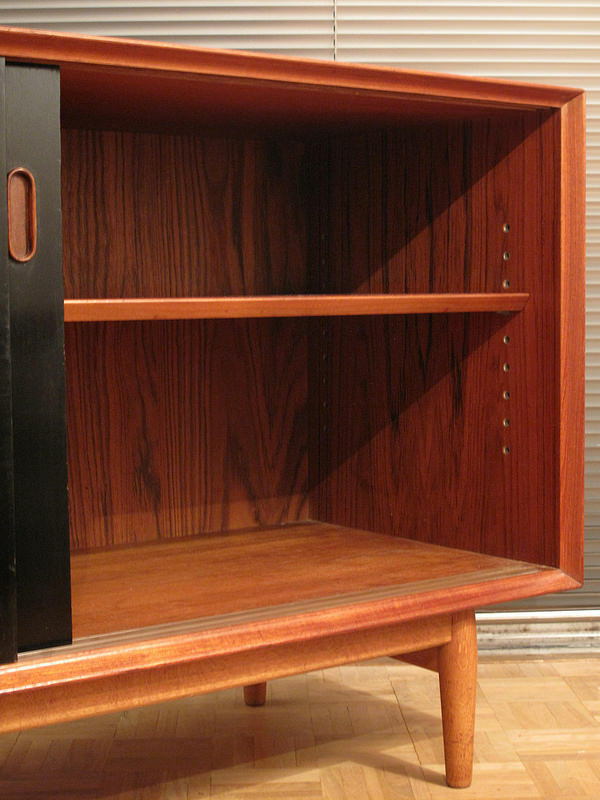 The cabinet stands on a solid oak frame. 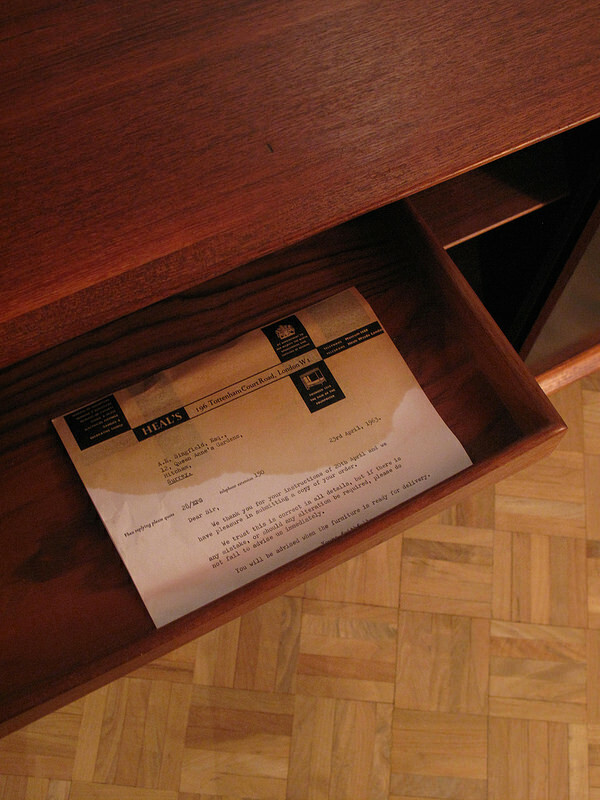 The sideboard includes a copy of its original bill of sale from Heals, Tottenham Court Road in 1963. 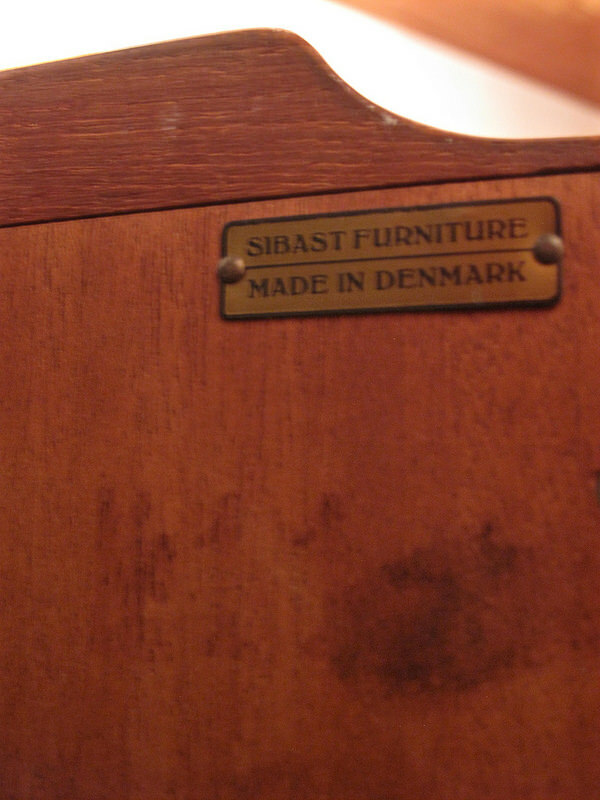 Early Sibast makers mark to the back. 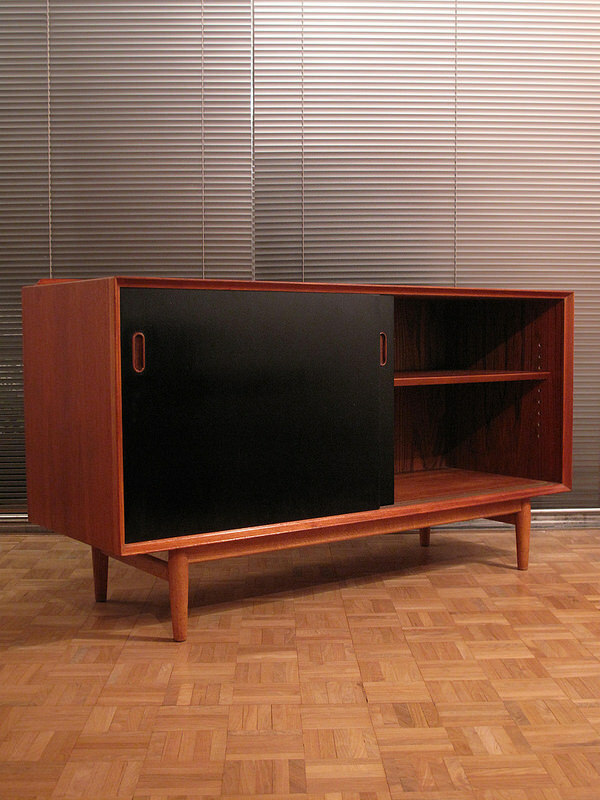 DIMENSIONS: 136.5 cm Long x 49.5 Deep x 76 High.